He talks about his suprisingly well rounded mindset at young age having a clear picture of what he wanted, how he decided as a perfectly attending class-clown freshman in high school that college simply wasn't gonna work for him, some wise words he hung onto by the great philosopher Lenny Kravitz, and about how he moved to LA before he was even 18. 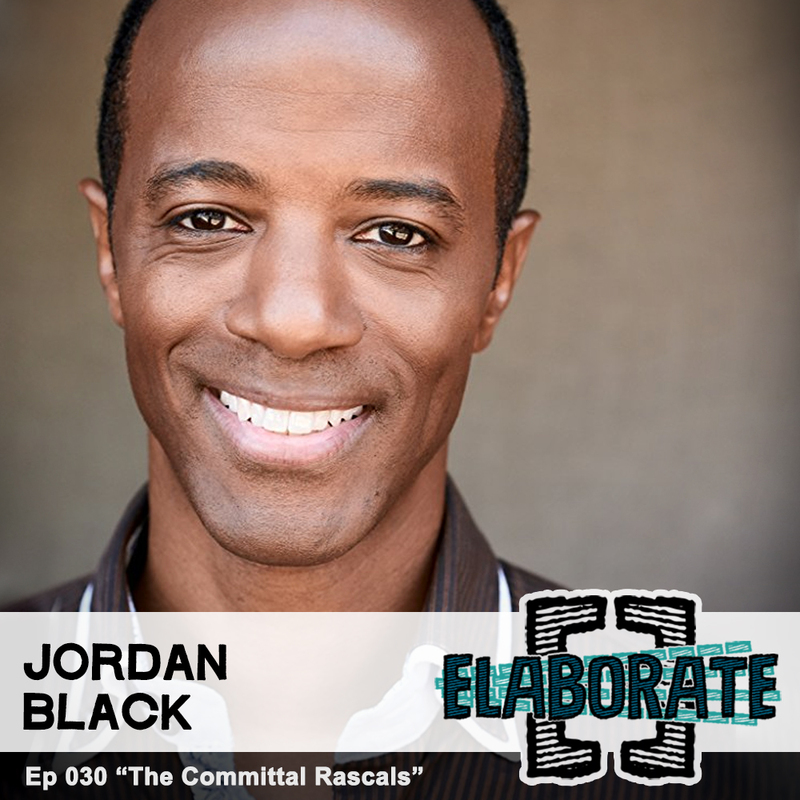 He also shares his experience being a black man in the mostly white dominated world of sketch/improv, how a lot of the pushback and struggle he faces comes from a place you probably wouldn't expect and how it all led to the critically acclaimed Groundlings show he created called "The Black Version." He talks about how C.S. Lewis' The Lion The Witch and the Wardrobe sparked an active imagination, his relationship with his quite opposite older brother, the outsider mindset and his childhood ADD before ADD was really a "thing." The two also share their experiences growing up in two similar racially mixed public schools in what most people would consider two vastly differently parts of the country, before having an open and frank discussion about racism, acceptace, and thier experiences growing up on the privleged side of the skin color spectrum. They discuss how something happens in the formative teenage years that triggers a shift in the social consciousness, and how our tribe mentality lends itself to the rebelious nature of teens as well as some of the guilt they feel for adolescent transgressions. Brionne also speaks to his desire for a world that embraces culture and finds itself in other peoples' history opposed to alienating it. And how his roll in the Academy Award Nominated film "Embrace of the Serpent" helped him do exactly that. Be sure to check out Embrace of the Serpent on Amazon, iTunes or Vudu and look out for Brionne on the brand new Hulu show Castle Rock, based on stories by Stephen King. With a con-man father and a narcissistic, Beach Boy groupie mother (no seriously), she discusses how the difficult hand she was dealt led to some massive insecurities, both anger and "daddy issues," an unhealthy career victim mentality, eating disorders, love addiction and more. From constantly moving around and seeking safe haven, being inable to express her feelings, leaving school young, surviving sexual abuse and more, she has a truly incredible perspective on her own story and her outlook on both her past and her future is inspiring and lovely. She talks about alignment and he talks about balance. And thats all just the first half. This a dont-miss whirlwind of a conversation. There's also a 5 foot 6 persian cage-fighting rapper in there somewhere. Writer/Director and Woman of Action, Maggie Levin joins Jake this week and talks growing up in Woodstock the daughter of free-spirited rockstar and a crazy balerina, being 6 years old in the theater playing boys, and being un-schooled and teenaged in New York City! She also talks a bit about a pattern of relationship tag along (that's not as unhealthy as it sounds), the "New York Grudge" which is totally a thing, and her more-than-boyfriend and the joy watching his discomfort with difficult people brings her. They also discuss her Rocky Horror stage show with a twist "Rocky Horror Hipster show" and how her incredibly talented friends helped spawn the idea with thier collective super-powers, the Sci-Fi Comedy TV show she directs and writes called "Miss 2059" on Go90.com, representing women in film and television, writing as woman and for women and navigating the landscape of casting women and people of color in a time when it is in the forefront of public conversation. See Miss 2059 at Go90.com or on the Go90 App on any Verizon device. 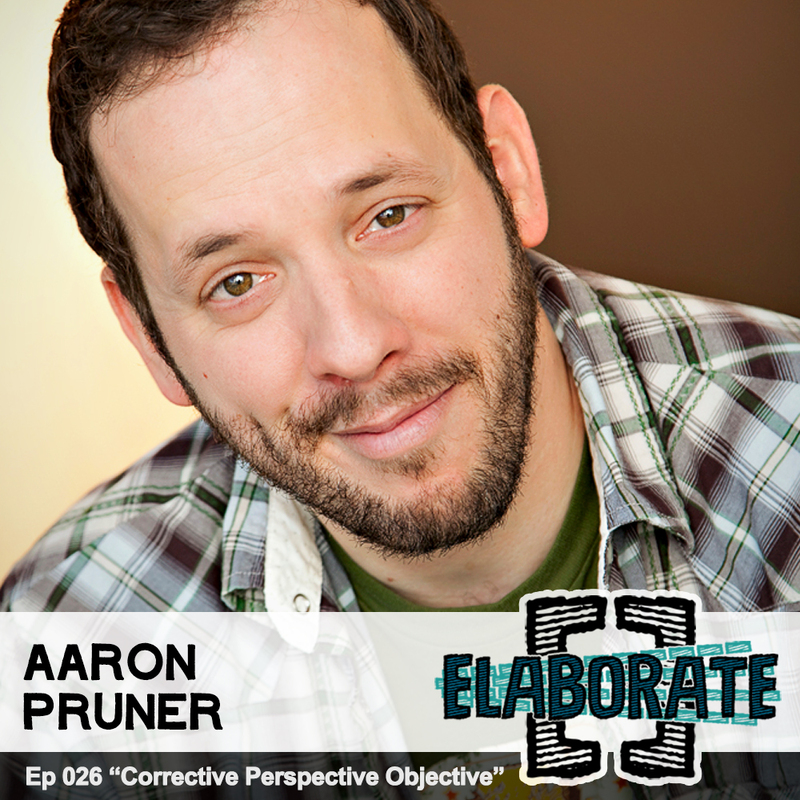 Actor/Writer/Critic Aaron Pruner is on the couch this week talking about his on-again off-again relationship with entertaining. He tells the tales of being a teen commercial star and how his role as the often picked on "Percy" on VR Troopers effected his off screen life, the decision to leave acting as a career behind and how proving his ability to exist in the "real world" to himself was important. He also talks about some dark family history and how his mother came out of it unconditionally supportive, how a series of unfortunate events in 2007 led to his decision to persue better living through therapy and improving his physical health which ultimately hurt his ability to perform and finding the balance. There's also Comic Cons, acts of kindness, and Gordon Ramsay. Jake is back after another week dark explaining himself. He's talking about the shallow pit he recently fell into, Bojack Horseman and his internal dialogue, his doggo Cosmo and his new cats and how nothing is wrong yet something is wrong. Then we jump into a time machine back to a test recording from before the start of the show with writer/actor and Elaborate First Mate, Paul Bianchi in which the duo discuss memories and Jake's inability to recall details that the seemingly Mutant Memoried Paul knows each and every detail of. Regular shows return next week! We're back after a week off and Comedian/Actor/Filmmaker Eddie Pence is on the couch talking about the comedy/pro wrestling connection happening the world (and that brought he and Jake together in the first place), his father's knack for complaining about things he secretly likes and his son's knack for standup and stealing his material. He also talks about growing up a suburban latchkey kid in Virginia to two government working parents, sibling friendships, his parental instincts and being a responsible modern parent while working in an industry that generally breeds irresponsibility, graduating virgina Tech before uprooting to LA to study film and television and discovering his calling as a comic, his earliest comedic inspirations and sharing a sense of humor with his son as well as talking in the cinema. Also Ace Ventura is a bar for comedy which all other comedy is judged. He talks about his suburban Pennsylvania roots from the whitest city ever that drove him to seek diversity in life, how the sketch show "In Living Color" and actor David Alan Grier inspired him to find the funny, being a physical therapist, the whim that brought him to LA and into standup, dealing with the bitterness from bouts of unpopularity and finding the positive reinforcement. He also talks about how he found himself as a pro wrestling color commentator for Championship Wrestling from Hollywood all because someone no showed. He talks about his small town Iowa roots and growing up the son of two teachers as well as being a funny bad kid, the sort of interests and comedy that caught his attention in his youth. They share thier mutual expierience of being directed towards fine art by being good kid artists who knew they werent that great. 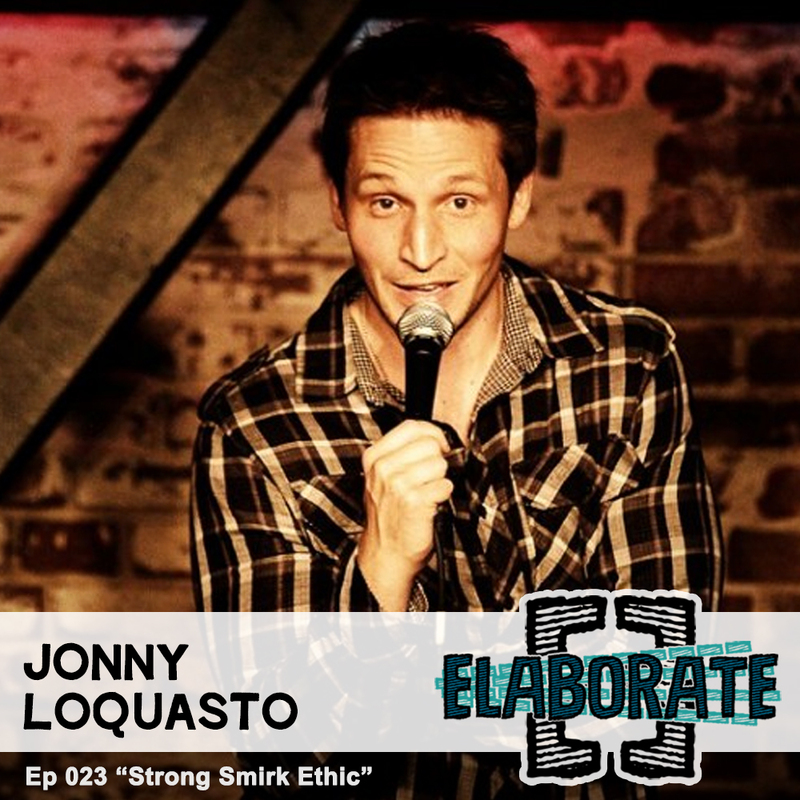 He also talks about being an outsider until making his way to Chicago and finding comradery in the comedy scene alongside talents like TJ Miller, Kumail Nanjiani and Pete Holmes. He also talks about recording his debut standup album "The Hungry Wolf Hunt's Best" at The Mill, a venue his grandfather, aunt and uncle played as a blueglass family band when he was a kid and why it was important to him. Also Mike has a lot of hostility towards the artist, Donatello.